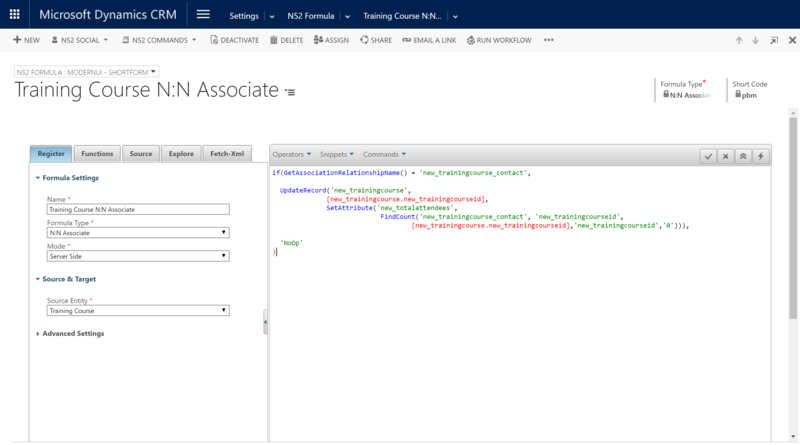 In this scenario you have a custom entity called Training Course which has a N:N relationship with the Contact entity. You need to implement a business rule (rollup) that will keep track of the count of Contacts that are associated to a training course. In effect count (rollup) the number of Attendees on to the Training entity. 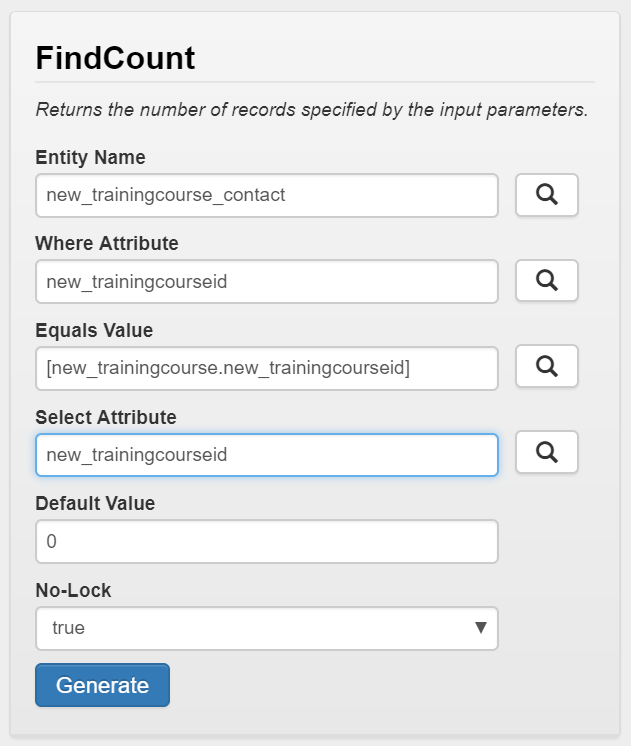 Please see below the wizard you can use to create the FindCount() function call used in this formula. Each of these are searchable via the search icon.